My husband spotted this photo in the New York Times yesterday. Two elderly gentlemen having a friendly game of lawn bowls near Wigan in England. The article was about the recent vote for Brexit. What could be nicer on a fine summer’s day or evening? The lawn bowling green is to the right in this aerial view of the Blackrock Bowling and Tennis Club in Dublin. Sometimes I’m homesick for lawn bowling!!! I have missed the lawn bowling scene so much since our move to Seattle in 2010. 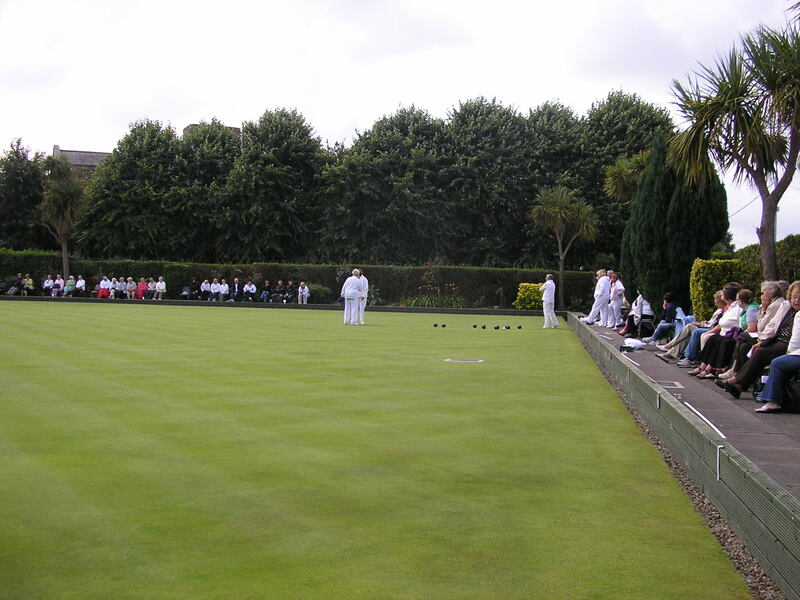 I have had a very busy – and very satisfying – week of lawn bowling. There were numerous matches throughout the week, culminating in the finals yesterday. If you really want to see the full programme it’s posted on the Irish Lawn Bowls website. Check out the Ladies Singles final. J. McKee lost but she was a “happy loser”. 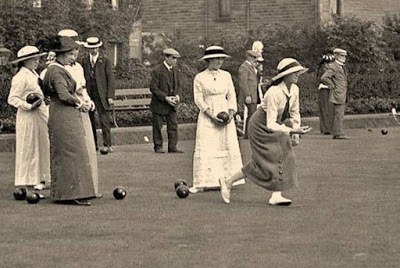 I put up a good fight and was delighted to be awarded the prize for Lady Bowler of the Week. 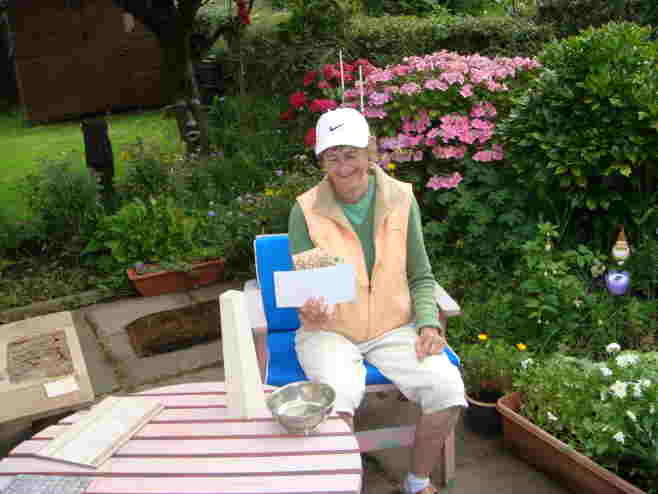 Home in the garden displaying my prizes. My schedule is still pretty busy though and leaving little time for knitting. We are getting ready for family visitors and I am going to music camp for a week so I have to practice playing my recorders. 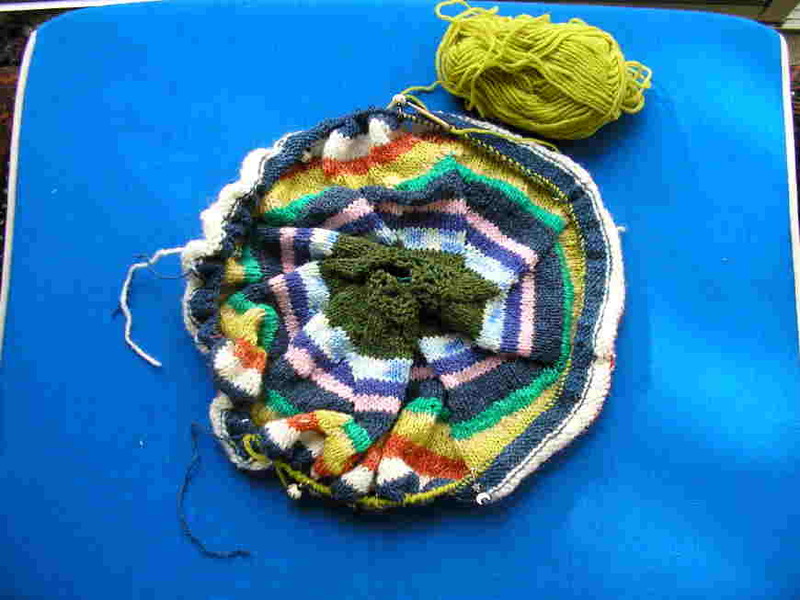 I have managed to do a bit of knitting, not a lot. I have been working on another pinwheel blanket. 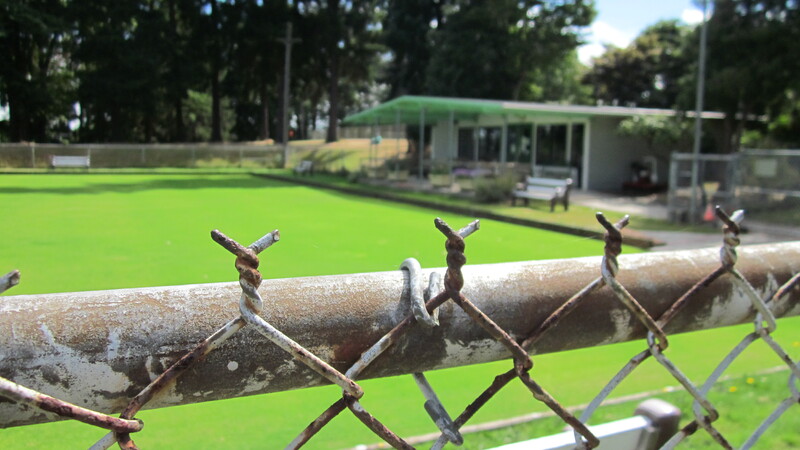 Lovely weather lately here in Seattle, and it has put me in mind of doing some lawn bowling. There is a bowling green nearby in Woodland Park, near the Zoo. We had gone searching for the green some weeks ago but hadn’t been able to find the correct way to get in to the Park in order to find the green. I subsequently talked on the phone with a club member and got more specific directions….but that bit of paper is not to be found now. Nevertheless, I put the woods in the car and off I went. The website said there was social bowling from 11 to 2 on Tuesdays. It was Tuesday and it was 11 o’clock. I searched for the entrance, couldn’t find it, came home, decided to go back and try again – I felt quite determined. This time I went up a side road, up through the park, saw a sign pointing to the lawn bowling green. I was getting closer. Another false turn or two, but yes I found it. And this is what I found. Not a soul in sight anywhere – well at least I wasn’t missing anything. And I did manage to find the way to get to the green. Maybe I’ll have to try Friday evening which is the other time when the website indicates that there will be bowling. 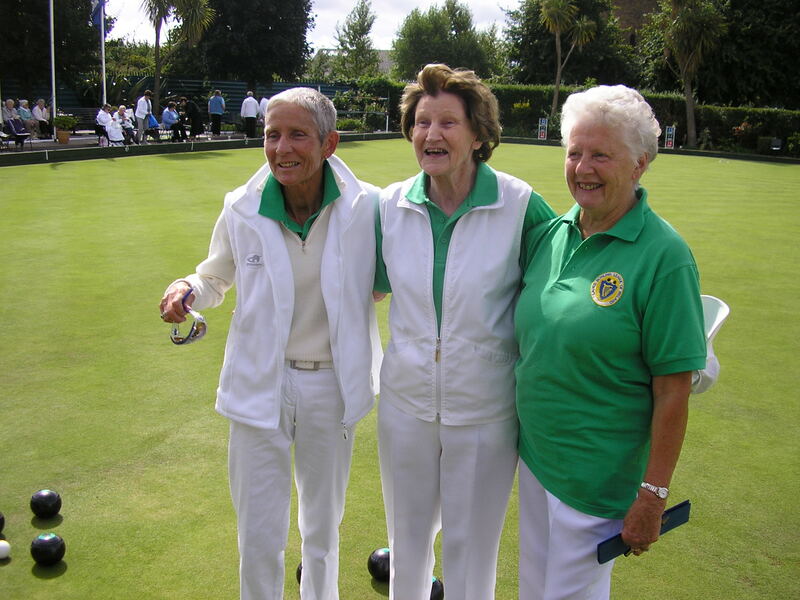 It was a nail-biting finish, down to the last wood – the Kenilworth Triples Team won their final match in the Irish Women’s Bowling Association Championships. 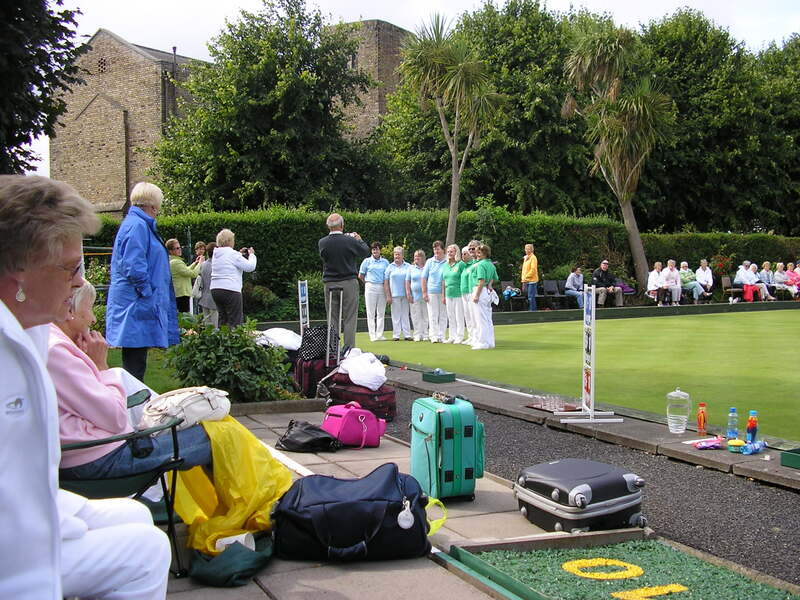 For want of a better name, I call these the All-Ireland Championships of the lawn bowling world. This means the winners will go on to play in the British Isles Championships to be held in Llandindrod Wells in Wales next June. 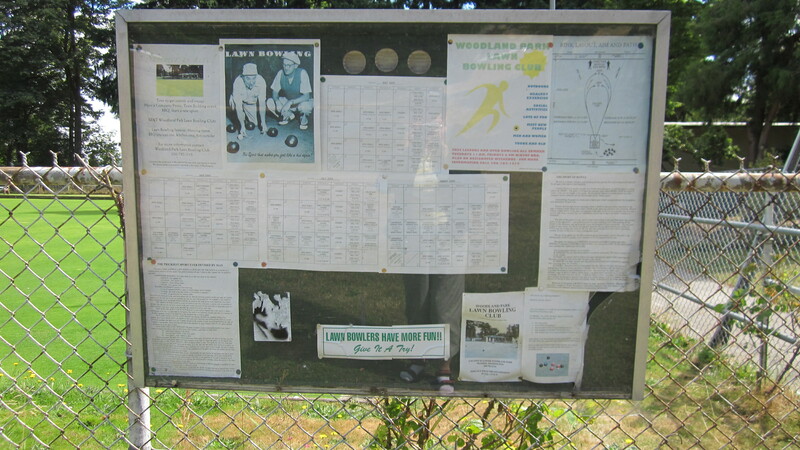 This is one of the pinnacles of the international lawn bowling scene. An honour indeed. I am so happy and pleased for the Kenilworth team. And I am delighted I was here in Dublin this year to watch the IWBA Championship Matches. I haven’t been bowling this year because of the protracted move to Seattle plus the trip to Hong Kong. 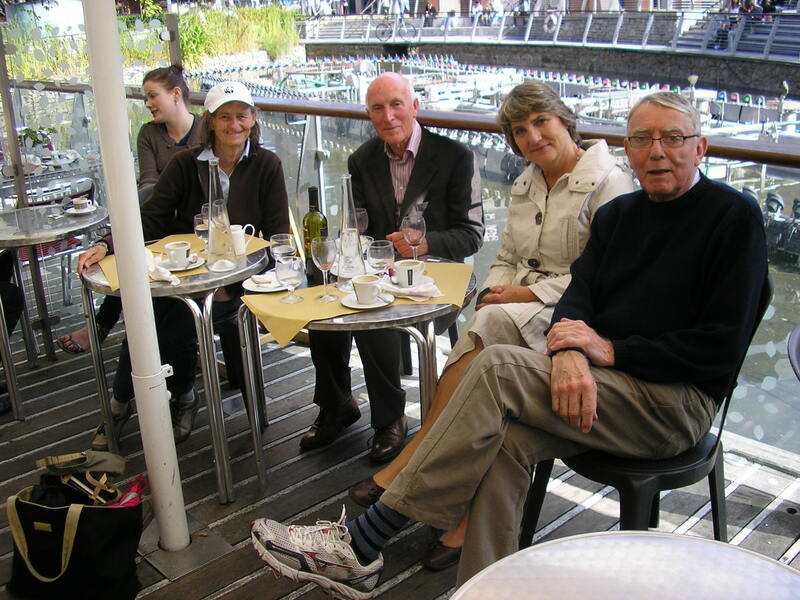 Otherwise I would like to think that I could have been a part of this team as I was for the British Isles Championships in Llandindrod Wells in 2007. That was certainly a marvelous experience. But this year it has been a thrill to be here in Dublin to watch the play over the past 2 days. My heart was pounding for them. Congratulations again to the winning 3. I will add that the 4’s final was also won by a Dublin club – Blackrock. Also exciting because I know the people involved and it is great to have 2 Dublin clubs representing all of Ireland in the British Isles Championships next June. Can I find a team in Seattle and aspire to represent the U.S. in an international competition?? Little did I think when we first took up lawn bowling in Kenya that I would have such dreams. I appreciate more now how the women in Kenya felt about representing their country in the inter-country African competitions and also to be selected for the Commonwealth Games. 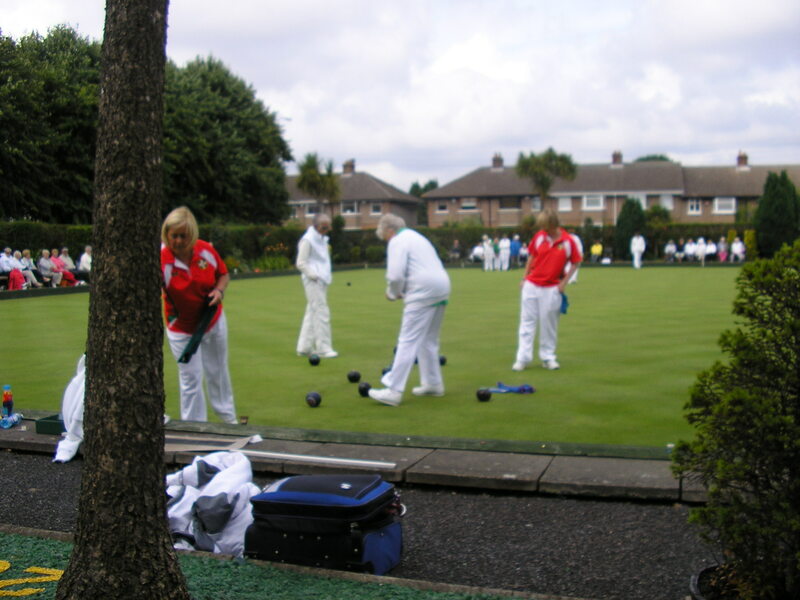 Lawn bowling is a wonderful sport – for young and old! The photo above of the winning 3 is actually after they won their semi-final match. We had to watch the final ends of the final match from a different vantage point and as soon as we saw that they had won we rushed off, late, to have lunch with friends, shown above.